The Foreign Relations Ministry (SRE) announced changes on Wednesday May 25 to various formats for nationality and naturalization procedures, as well as the Directorate General of the Historical Diplomatic Heritage. The agreement, published in the Official Gazette, indicates that the annexes to be modified are called DNN-1 and DNN-3. The Agreement disclosed the necessary formalities for individuals to carry out the procedures of nationality and naturalization, published on January 31, 2014. These annexes contain the FF-SRE-004 formats; Application for Certificate of Mexican Nationality (formerly DNN-1); and FF-SRE-005 application for naturalization (DNN-3). 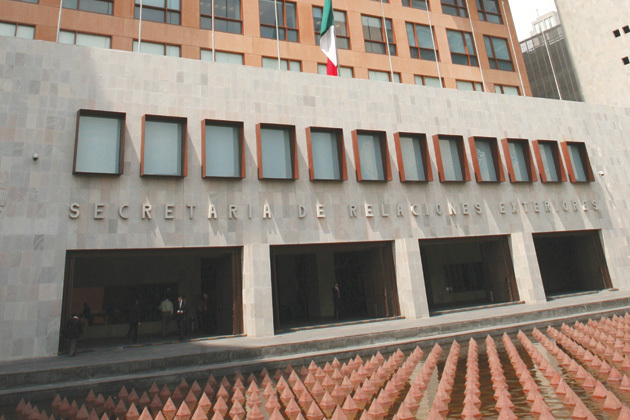 It also detailed the formats to be used for the presentation of the document in which foreigners must agree to the provisions of Section I of Article 27 of the Constitution to acquire real estate in Mexico, outside the restricted area, and to obtain concessions for exploration and exploitation of mines and waters. That provision provides the State may grant the right to acquire property to foreigners, as long as they agree before the Ministry of Foreign Affairs to consider themselves as nationals in respect of such property and not to invoke, therefore, the protection of their governments towards them. The formats for these procedures are FF-SRE-006 and FF-SRE-007 waiver agreements for acquisition of property outside restricted area; and FF-SRE-008 and FF-SRE-009 waiver agreements in order to obtain concessions for exploration and exploitation of mines and waters in national territory. The document, which will come into force Thursday May 26, mentions that the identification card and format of Research Program of Short Stays in Lee Benson Latin American Collection Nettie University of Texas at Austin, which was BE-06-002, also changes and will now be FF-SRE-002 and FF-SRE-003. Also changed are the identification number and format processing for Genaro Estrada Award for the best research on the history of international relations of Mexico, which changed from SER-06-003 to FF-SRE-001.